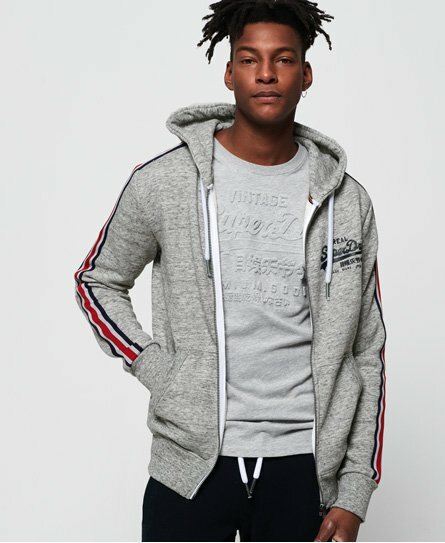 Superdry men's Vintage Logo CNY Zip Hoodie. Update your hoodie collection with this zip hoodie inspired by Chinese New Year. Featuring a drawstring adjustable hood, two front pockets and ribbed trims. This hoodie also features a Superdry logo on the chest and is completed with a stripe design down the sleeves. Style with joggers for the ultimate laid-back look.